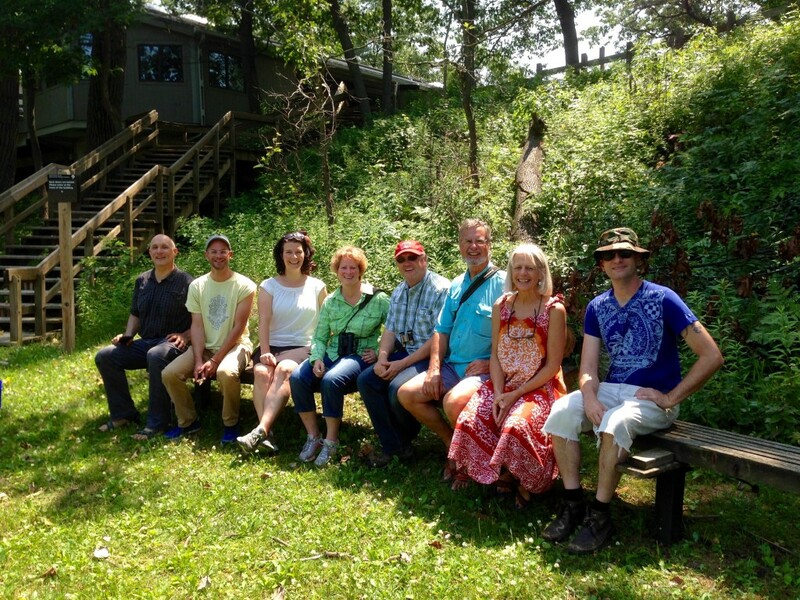 On Saturday, July 18 (World Listening Day 2015), Dan Godston led a soundwalk at Indiana Dunes National Lakeshore’s Miller Trail. In spite of predictions for extremely hot and humid temperatures, nine hearty listeners braved the heat on what turned out to be a beautiful warm and breezy day. Starting at the Paul H. Douglas Center for Environmental Education, Dan introduced R. Murray Schafer and his seminal book, Soundscape: Our Sonic Environment and the Tuning of the World, and in keeping with this year’s H2O theme, Rachel Carson’s The Edge of the Sea, and Jerry Dennis’ The Living Great Lakes. National Park Service Ranger Steve Rodriguez hosted the event on behalf of the IDNL, and provided materials with which the soundwalkers created text and visual images based on passages from the books. We have been collaborating with IDNL on programs at the Douglas Center annually since 2010! Read, look, and listen to the full report on mwsae.org.